With its location in the middle of the state, Orlando can get pretty hot over the summer months. Fortunately, there are a variety of fun ways to still enjoy the outdoors while staying cool during the warmest days of the year. While the city is about 40 minutes from the beach, there are plenty of water activities that can still be found. Here is our list of the top ways to beat the heat in Orlando this summer. Going to the springs is a great way to beat the summer heat and there are many choices around Orlando. Swimmers and snorkelers flock to Apopka's Wekiwa Springs State Park and people also picnic along the banks of the springs. Rock Springs is also in Apopka and it is a popular destination for tubing. One way to keep the entire family cool this summer is by visiting a splash pad. Kids will love to run through these fun water playgrounds that are set up throughout the city at free facilities like Barnett Park and Capehart Park. Downey Park and Dr. Phillips Community Park also have a splash pad park that is only $1 per person. East Orlandoans can check out the Oviedo Splash Zone & Aquatic Facility that has upgraded features like water slides and wade pools. Those in the know can just crash any number of pool parties going on every weekend at Orlando buildings, but there are also some public options open throughout the summer. the Aloft Orlando Downtown in downtown is hosting two Sunday Deep Therapy Pool Parties June 10 and July 15. The City of Orlando operates four year-round adult fitness pools and seven seasonal pools that are open from Memorial Day through Labor Day. The arrival of Universal's Volcano Bay added just another layer to Orlando's tremendous water park scene. The 200-foot conical mountain has become one of the top landmarks in the city, due to the park's proximity to Interstate 4. Disney has Blizzard Beach and Typhoon Lagoon on property, two water parks in Orlando that have entertained thousands over the years. 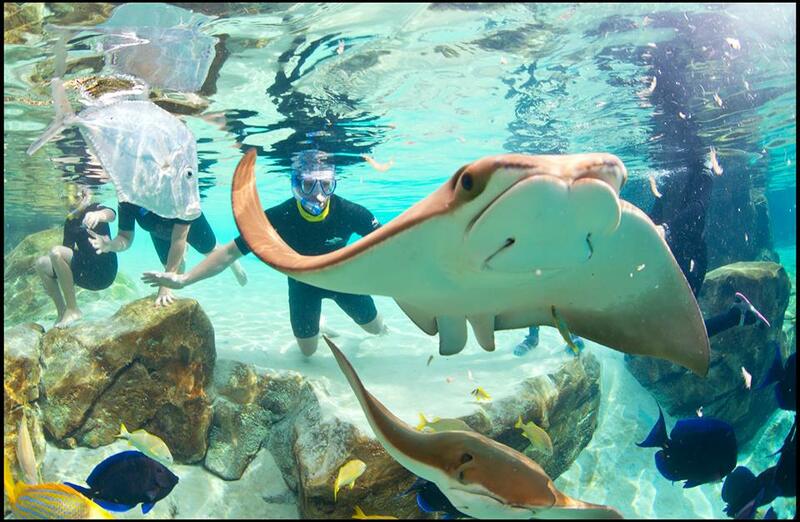 Sea World has two different experiences to offer, with Aquatica resembling more traditional water park fun and Discover Cove recreating natural environments for people to explore. Cooling off with a frozen drink or two can be a great way to go through the summer. Chillers is the longest-running bar in downtown Orlando and the only one dedicated to serving up frozen daiquiris. Relax Grill is a great, canopied-shaded restaurant and bar that has views of downtown's Lake Eola and several frozen cocktails available. The theme parks also have several stands and restaurants where you can get a frosty alcoholic treat. Ice Bar allows patrons over the age of eight to enter and they have several non-alcoholic drink options available for kids. Admission is $19.95 per person. For more ways to stay cool and beat the heat this summer in Orlando subscribe to 407area.